So I was thinking of highlighting the news stories in gaming that have stood out to me and their related articles. If you guys are interesting in seeing this be a regular feature, let me know in the comments below! 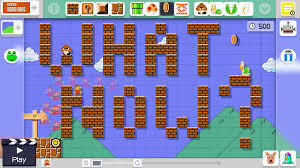 Nintendo has deemed your level unworthy. 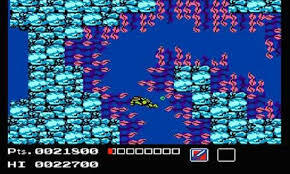 At launch, Nintendo warned that levels that do not get played may eventually be removed from the servers and that time seems to have come. This is not unprecedented as many levels using "exploits" such as invisible blocks had previously been removed from the servers following a patch that removed them from the game. Also, Nintendo is constantly checking the uploaded levels for inappropriate content and words. Perhaps the most damning thing about this story in my opinion is that once a level is deleted it cannot be re-uploaded online without rebuilding the level entirely. Not even modifying the existing level will suffice. This seems rather extreme for a potentially good level that just may not have gotten any exposure. Either way, all you creators out there should watch closely and make sure your levels haven't been removed. because it is the best Hitman game. When the next Hitman game was originally announced it was supposed to be a hybrid "early access" release. A few of the areas would be available at launch but over time the remaining locations would become available. Square Enix has since changed their entire release model and it will now be episodic with the first episode and location (Paris) being released for $15. Any existing pre-orders for the game have been refunded to those people on all platforms. Interestingly, consumers cannot cancel pre-orders themselves on many digital services but the developer can, which has sparked some mild controversy. 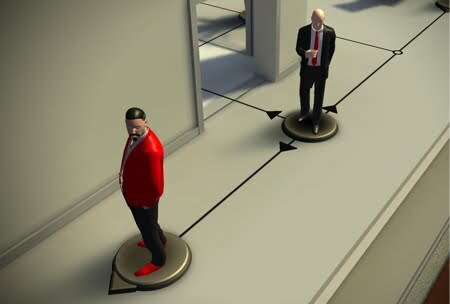 I have never gotten into any of the Hitman games (other than Hitman GO on iOS which is an amazing puzzle/board game) so I am curious to see how this new game turns out. playing? Sounds dumb, let's watch some golf instead. After a few minor attempts to broadcast various games on ESPN (Heroes of the Storm and DOTA 2 come to mind), they have officially launched their own esports coverage... on line at least. 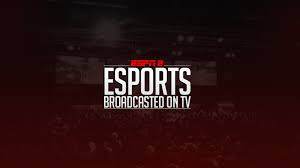 Only a few weeks removed from Activision buying MLG and their CEO Bobby Kotick claiming this was to create the "ESPN of esports", ESPN became the ESPN of esports. I highly doubt we will ever see an "ESPN E" channel added to their lineup but it is cool to see the world's leader in sports coverage begin to dip their toes into video games. Let's just hope it's not quite as cringe-worthy as when Shaq is involved. Platinum Games is Making a TMNT Game! After releasing "Transformers: Devestation", which is by all accounts an amazing fan service game, Platinum is now turning their eyes on another throwback title from our childhood. I have played enough bad Teenage Mutant Ninja Turtles games in my life to be weary of getting my hopes up but with the degree of Platinum and screenshots like these it's getting hard to contain myself. I mean, Bebop has a purple mohawk and yellow sunglasses!!!! 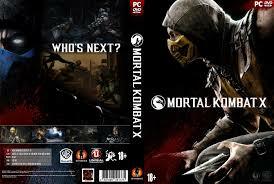 Anyone who tried to play Mortal Kombat at launch knows how much of a hot mess it was. Crashing bugs, patches that wiped saves, etc. The dust seemed to have settled more or less, but now Warner Brothers is once again angering it's PC players. The newly announced "improved" online support as well as the next DLC pack are both going to be console exclusive. This is an ongoing trend with Warner Brothers and PC support. Just a few months ago Batman Arkham Knight was pulled entirely from the PC, only recently returning to sale. I'm sure the market is tiny compared to the one on consoles but begs the question: Why even release on a platform you aren't going to support? Sadly, it makes it seem simply like a cash grab and it is disappointing for such great games as Batman and Mortal Kombat. 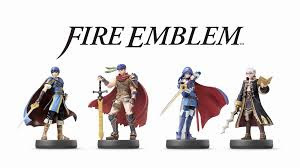 Nintendo can't seem to please anyone with it's sexually ambiguous character in Fire Emblem: Fates. This article explains the major issues regarding the alleged "drugging and gay conversion" that were potentially present in the upcoming title. It is good to see Nintendo becoming more open to all lifestyles as well as being politically correct, even if the messaging is difficult to parse sometimes. Ultimately, this is a slow moving company in many ways. They only recently discovered things like "The Internet" and "HD Graphics" so it's no surprise that they have fumbled their way into the modern day societal norms. Awakenings was one of my favorite 3DS games in the past few years so I am very excited to play this, I will be curious to see how they alter the dialogue to deal with this in the final product. These were the news items over the past week that stood out to me. Were there any major announcements or stories that I missed? Let me know your opinions/suggestions on these and other stories in the comments below. I'm down for this idea.